A calf strain is an injury to the gastrocnemius muscle. When a muscle is strained, the muscle is stretched too far. Less severe strains pull the muscle beyond its normal excursion. More severe strains tear the muscle fibres and can even cause a complete tear of the muscle. Most commonly, calf strains are minor tears of some muscle fibres, but the bulk of the muscle tissue remains intact. The calf muscle is usually strained whilst running or walking as the calf muscle’s function is to control the heel bone and they are therefore most active during the push-off phase of walking and running. Calf strains are most common in men between the ages of 30 and 50. Typically, individuals who sustain a calf strain notice a sudden, sharp pain in the back of the leg they often have just started to resume exercise after a long time. The most common muscle to injure when a calf strain occurs is the medial gastrocnemius. This muscle is on the inner side of the back of the leg. The injury usually occurs just above the midpoint of the leg (between the knee and ankle). This area of the calf becomes tender and swollen when a muscle strain occurs. Exercise-induced compartment syndrome is due to a pressure build-up within the muscles of the leg. Muscles are enclosed within a tight tissue called a fascia. This fascia wraps around and contains the muscle. Normally, the fascia has enough extra room within to allow the muscle to function without problem. When activity levels are increased, blood flow to a muscle increases, and the size of the muscle increases. In most people, the fascia allows sufficient room to accommodate this increase in muscle size during exercise. However, in patients with exercise-induced compartment syndrome, the fascia is too tight, and it constricts the muscle during activity. This is an overuse injury and is thought to be due to degeneration of the tendon rather than acute inflammation. There may be a partial avulsion (where the tendon pulls away from the bone) at the attachment to the navicular bone. Long-term injuries to the Tibialis Posterior can result in insufficiency of the muscle and a condition called Tibialis Posterior Syndrome or Dysfunction. This results in fallen arches, or flat feet. Rest in conjunction with cryotherapy (we have specific machines that can be hired/purchased for patient use). Thermotherapy combined with cryotherapy, often called contrast therapy. Advice, on the use of non-steroidal anti-inflammatory drugs. This is always in conjunction with medical advice in some patients this may not be possible due to pre existing conditions or inter reaction with other medicines that are being taken. Soft tissue massage/myofacial release techniques. Muscle strains are the most common causes of calf pain. An explosive acceleration such as stretching to play a ball at squash or tennis may cause injury. The calf region is also a common site of contusion (local damage to the muscle which results in bleeding) caused through a direct blow to the muscle. Some people experience episodes of cramping pain in the calf that may be due to recurrent minor calf muscle strains, which are as a result of poorly rehabilitated scar tissue. Calf pain can also be referred pain from neural structures or from the lumbar spine. The calf is the most common site of muscle cramps in the body. These can be treated with regular muscle stretching, correction of muscle balance and posture, and adequate conditioning for the activity. Other strategies implemented at Physio Team-Works include incorporating plyometrics and eccentric muscle strengthening into training programmes, educating regarding maintaining adequate carbohydrate reserves during competition and the treatment of myofascial trigger points. We can advise on adequate fluid, carbohydrate and electrolyte intake with the recommendation of appropriate supplement drinks. Physio Team-Works has strong background in strength and conditioning. Nutritional support is essential. Biomechanical factors may be the underlying cause of calf pain. Excessive flat footedness (over pronation) can overload the calf muscles causing muscle tightness and soreness. This can predispose to the development of compartment syndrome. Physio Team-Works can arrange for you too see one of our accredited podiatrists if we believe that your symptoms are caused by a biomechanical problem. We also have access to gait analysis which can aid appropriate management. Conditions often missed include deep venous thrombosis (DVT) which occurs occasionally in calf injuries. Signs and symptoms include constant calf pain, tenderness, increased temperature and swelling within the calf. Hospital treatment is required for a confirmed DVT. Doppler investigation can be arranged. Calf pain can also be referred from the lumbar spine, usually in the form of a ‘slipped disk’. These pains are usually deep and aching all the time but can sometimes be exercise-induced. The knee joint may also occasionally refer pain to the calf. Patients often complain of pain to the calf or knee. Physio Team-Works are experts in diagnostic assessment to differentiate between a back referred pain and a local pain. Of course people can have both. 1. Bone Stress – a continuum of increased bone damage exists. Ranging from bone strain to stress reaction to stress fracture. 2. Inflammation – inflammation develops at the insertion of muscles and fascia to the inside border of the shin bone. 3. Raised Intra – compartment Pressure – the lower leg has a number of muscle compartments each enveloped by fascia. These muscle compartments may become swollen and painful as a result of overuse or inflammation. One of the major causes of all three injuries is abnormal biomechanics. Stress fracture of the tibia presents as a gradual onset of shin pain aggravated by exercise. Pain may occur with walking, at rest and even at night. The patient with ‘shin splints’ (now referred to as inflammatory shin pain or traction periostitis) complains of various symptoms. Pain is felt along the inside border of the shin and usually reduces with warming up. The patient can often complete a training session but pain gradually recurs after exercise and is worse the following morning. 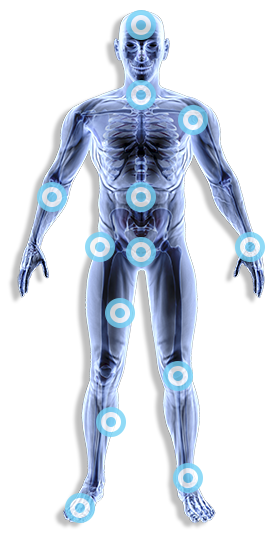 Initial treatment is to reduce inflammation. Podiatric assessment and physiotherapy advice regarding stretching and training are also important components of the management of this condition. The most effective definitive treatment involves a deep physiotherapeutic massage therapy and corrective foot dynamics. Stress fractures of the fibula can cause shin pain. These can be caused by muscular stress and forces placed through the bone. This injury is often caused by biomechanical abnormality. It is treated with rest from activity until the tenderness settles and then with a graduated exercise programme. Soft tissue abnormalities should also be corrected. Chronic compartment syndromes are a common cause of shin pain. The exact cause of this condition remains unclear. An inflammatory process occurs and leads to fibrosis and reduced elasticity of the fascia surrounding the muscle compartments. As a result, when the patient exercises, the muscles attempt to expand but are unable to do so. This results in increased pressure and, therefore, pain. Treatment consists initially of a conservative regimen of relative rest and deep massage therapy and assessment and correction of any biomechanical abnormalities. Surgery can be indicated if conservative treatment fails. The term shin splints is a common misnomer in sports medicine. It does not imply a specific diagnosis, rather it is the symptom of pain over the front of the tibia bone. The pain from shin splints can be due to either problems of the muscles, the bone, or the attachment of the muscle to the bone. Therefore, ‘shin splints’ is simply the name given to pain over the front of the lower leg. The most common cause is inflammation of the periostium of the tibia (sheath surrounding the bone). Traction forces on the periosteum from the muscles of the lower leg cause shin pain and inflammation. This has lead to the use of terms such as Medial Tibial Traction Periostitis. The pain of shin splints is caused by trauma to either the muscles or bones of the lower leg. Muscle trauma (exertional compartment syndrome) is often related to overtraining or excessive running on hard surfaces. Repeated use makes the muscles swell and puts pressure on the fascia that covers the muscles in the lower leg leading to pressure and pain. Bone trauma to the lower leg can result in stress fractures. Constant pounding the leg bones may cause microscopic cracks and fractures in the tibia and fibula (lower leg bones). Rest is needed to repair these cracks, but without adequate recovery, these cracks continue to grow and become a fracture. The result is acute pain and a long recovery. Beginning runners are at increased risk of shin splints and stress fractures because they are not used to the high impact running has on the muscles and joints of the lower leg and foot. Running on hard surfaces (especially with worn, poorly cushioned footwear) increases stress on the muscles, joints and bones and is another cause of shin splints. Excessive pronation or other biomechanical problems can increase the risk of developing shin splints. Shin splint from running, it will only get worse if you continue in that sport. You can, however, cross-train on a bicycle or elliptical machine, or hit the swimming pool to maintain your aerobic base until the injury heals. Active rest with alternative training (bicycle, swimming) modify your training schedules. Stretching calf muscles before and after activity (especially after) Passive muscle energy techniques. Graded exercise program to strengthen the lower leg, abdominal, and pelvic muscles. Taping the ankle to take pressure off the lower leg muscles can also be helpful or dynamic bracing. Gradual onset of pain at the back of the ankle, just above the heel bone. This develops over a period of days. Physio Team-Works can help implement specific strengthening programmes and correction of predisposing factors such as muscle tightness and abnormal biomechanics. These are all required together with appropriate progression to functional activities and sport-specific rehabilitation programmes. We also work in conjunction with Podiatry if corrective orthotics are required. Achilles teninopathy responds best if treatment is implemented at an early stage with the aim being to settle pain and inflammation through the use of heel raises in shoes, soft tissue massage and mobilisation of the Achilles tendon. Your physiotherapist will implement intensive self stretching programmes which are important to maintain muscle and tendon length. This is a particularly difficult condition to treat. 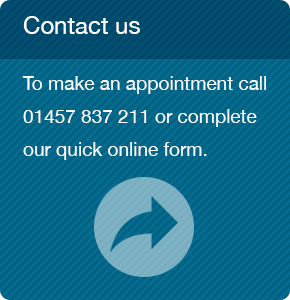 If none responsive to treatment then we can refer you to the appropriate specialist for advice. One group of studies have shown prolotherapy to be effective in treating this condition. What treatment can you have for achilles tendonitis/osis? Ultrasound is a therapeutic modality that has been used by physiotherapists since the 1940s. Ultrasound is applied using a round-headed wand or probe that is put in direct contact with the patient’s skin. Ultrasound gel is used on all surfaces of the head in order to reduce friction and assist in the transmission of the ultrasonic waves. Therapeutic ultrasound is in the frequency range of about 0.8-3.0 MHz. The waves are generated by a piezoelectric effect caused by the vibration of crystals within the head of the wand/probe. The sound waves that pass through the skin cause a vibration of the local tissues. Balancing on one leg is a good way of developing proprioception. This will help prevent spraining the ankle in future and is a good all round strengthening exercise for the ankle. Aim for 2 minutes without wobbling. To challenge the ankle even further, a wobble board can be used .Treatment for Achilles Tendonitis should be swift as the inflammation associated with Achilles Tendonitis can lead to degeneration of the tissue, increasing the chances of developing the more serious disorder of Achilles tendon rupture. This condition causes pain and tenderness at the back of the ankle. Treatment involves relative rest and manual mobilization of the joints of the foot and ankle. Occasionally surgical intervention is required.